The process of cleaning, waxing and polishing a floor is simple, but many people never get past the cleaning stage. Adding wax and polishing floors adds an extra element of cleanliness and shine that instantly makes any room look cleaner and better. Waxing and polishing a floor only has to be done two to three times a year. The only tool necessary for this process that is not a common household supply is the rotary floor buffer, which can be rented from most hardware and home supply stores. 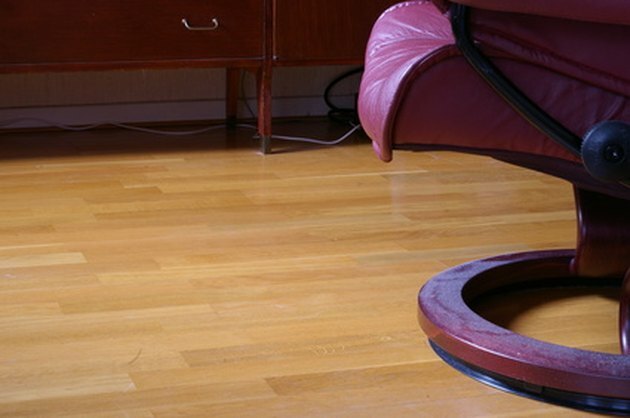 Cleaning, waxing and polishing floors helps them keep looking like new. Determine if your floor has a seal or finish on it already. If the floor has a permanent shine, or if the floor feels perfectly smooth, then a seal is probably already on the floor. 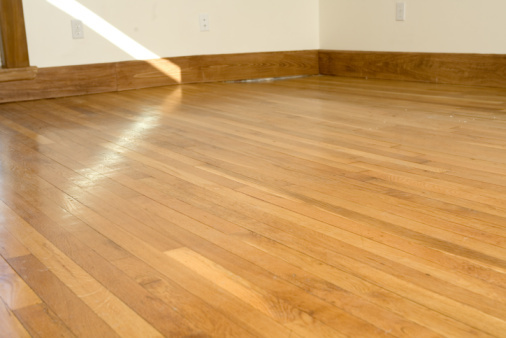 Hardwood floors are usually sealed for protection. Tile floors are also often sealed to protect the grout from becoming dirty. Sweep the floor with the broom to remove dust and dirt from the surface of the floor. Mix a solution of one part cleaning solution to nine parts water. Mop this solution all over the floor to remove dirt and debris. Rinse with water. Dry the floor with old towels. Allow the floor to air dry for one hour before waxing the floor. Wax the floor only if there is no seal or polish already on the floor. Use a dry mop for this task. It works well to have one mop for cleaning and one for waxing. Pour the floor wax into the bucket and work over the surface of the floor using long, steady strokes. Do not walk over the wax before it is dry. Start at one end of the floor and work toward and exit. Allow the wax to dry for one hour. Apply an additional coat of wax for maximum shine and protection. Attach the buffing pads to the floor buffer. Only use this polishing method for floors already coated with wax or a seal. Plug the buffer into the wall. Buff the entire floor carefully, going over each section of the floor one small area at a time. When finished, hand buff the rest of the floor with old towels to reveal maximum shine.